I like to mix up my posts to include non – pen items from time to time. 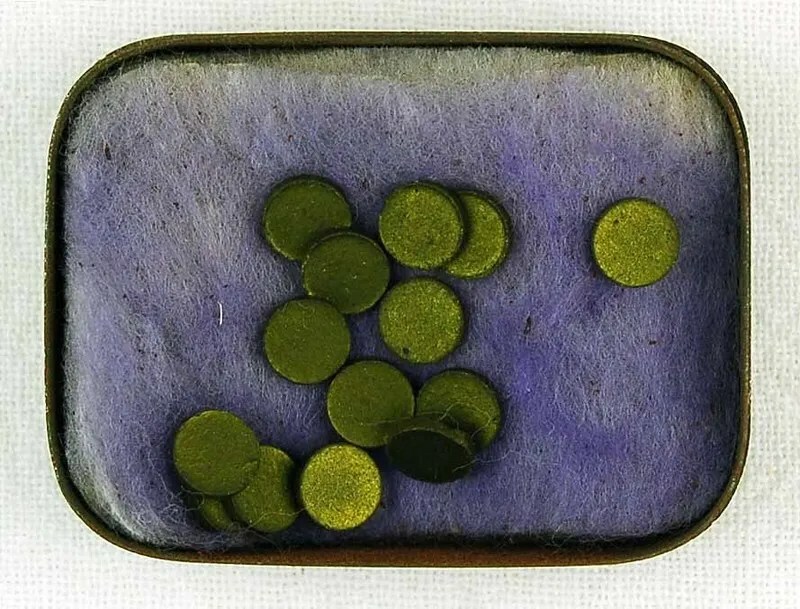 I have covered advertising, tools, and inks and here is an interesting Ink topic with historical significance – INK TABLETS. In my June 8, 2008 post titled Stylographic Pens I discussed the restoration of a cool JUCO (Jacob Ullrich Company) Stylographic Pen. His Company was in the New York City / New Jersey area from the late 1800s until the 1920s. 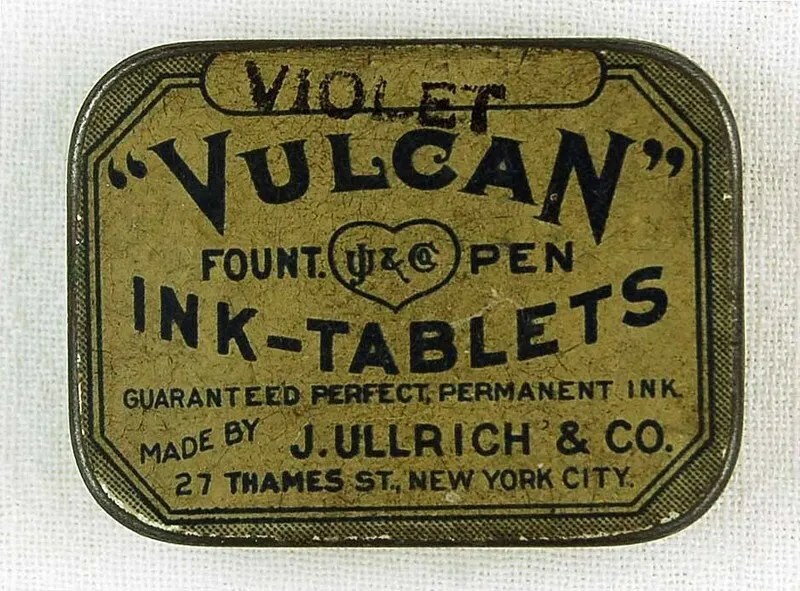 I recently came across this tin of Violet Vulcan Ink Tablets. The pictures below show the top and bottom panels as well as the inside and tablets. You can see from the bottom of the tin that at the time of manufacture Ullrich was at 27 Thames Street in New York City (currently home to the Five Star Shoe Repair Corporation!). 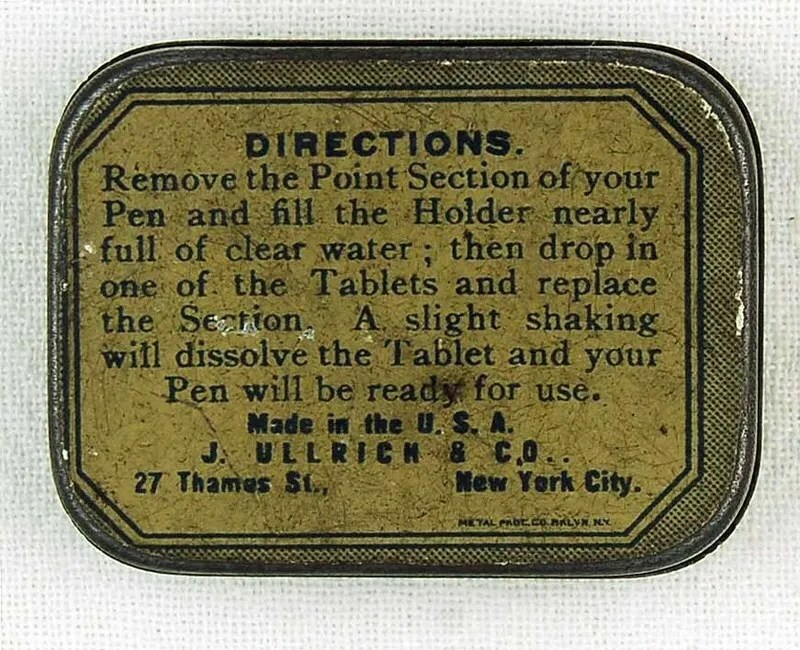 Ink Tablets are an interesting historical fountain pen – related niche. 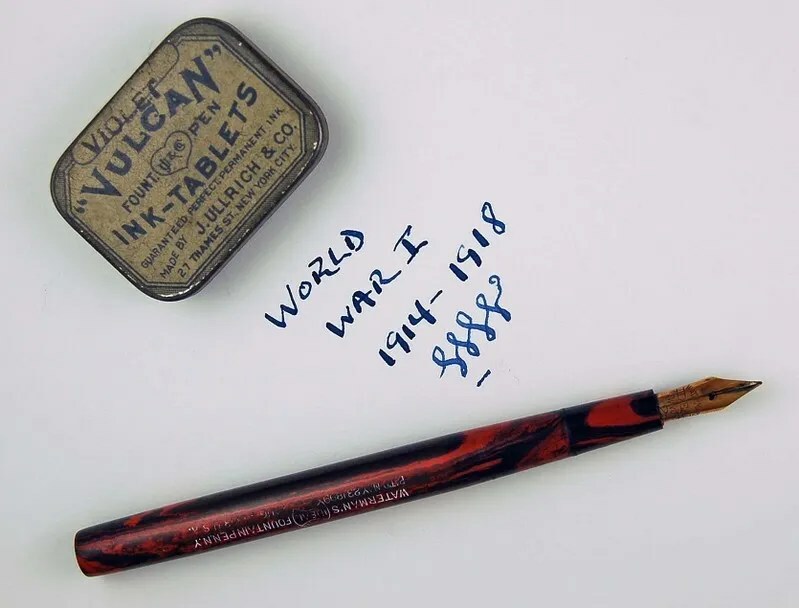 During World War I (1914-1918), soldiers could not carry ink bottles to refill their pens, so pen companies developed the idea of powder or tablets, which could be combined with water inside the fountain pen to produce ink. As eyedroppers were a common pen of the day, this was a good solution for the soldiers. So, the next time you are in an antique store lamenting the lack of vintage pens for sale, don’t forget to check the cases and shelves for ink tins – you might just get lucky.